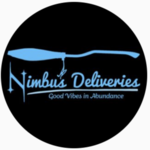 Nimbus Deliveries selects only the finest mmj strains – each strain is selected by the most reputable growers in the state. The assortment is constantly expanding, and new strains will be added soon. Our herbs might be “magical”, however, whether fortunately or not, they won't give you gills or let you breathe underwater. But what our products can do is help you with pain, sleep, stress disorders and other medical conditions. That is why we are here for you, to provide you with means for an effective treatment. We not only supply goods but also take care of our loyal patients. Any returning customer may ask us for a special deal and we will do our best to provide them with what they are looking for. All goods are thoroughly checked before shipping and are delivered in a timely fashion and right to your door. Accio Cannabis! Rest assured our specialists will provide you with all information needed so that you could make an informed choice. What is more, they will help you choose a proper medication that will match your personal needs. We accept cash and credit cards, however, payments via credit cards are not accepted for orders over $300.